In this advance era there is many there are many new techniques in each and every department and, we can also see progress everywhere. In this flux online business is most preferred to have an online business and it’s possible when you have a website, to make a website lively there are many useful techniques and CSS is also one of them. Basically CSS (Cascading Style Sheets) is a style sheet language used for describing the presentation semantics of a document written in a markup language and CSS3 is the enhanced version of CSS, and I’d like to say that CSS3 presents many new and exciting improvements on your web design and development that you always looking for. Being a professional you should always look for the best and if you are going to use CSS3 then you are on a right place because I am going to share CSS3 tools. 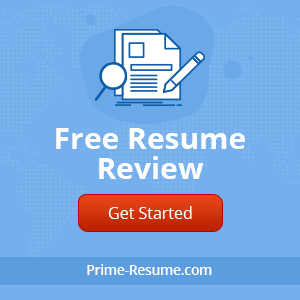 Because it boasts several amazing features that have totally changed the way that people used to create in their web layout, and using below CSS3 tools you can a chance to do it in a more batter way. 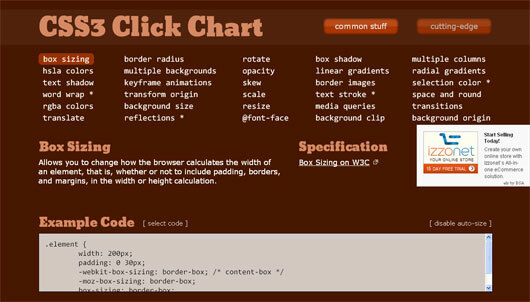 If you want to improve the grace of your website then you should use CSS3 Click Chart because it has many amazing features for every professional. Basically it allows you to alter how the browser calculates the width of a factor, and it also focus on whether or not to take in padding, borders, and margins, in the width or height calculation. I know that to make a most valuable CSS about a website is a hard job because professionals have concentrate on many essential things. 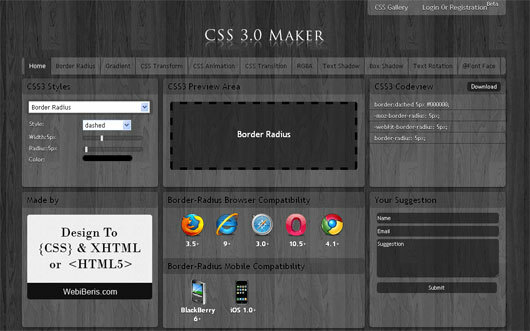 For this purpose you also need a helping hand that will help you regarding CSS, you can use CSS3 Maker because it’s a perfect tool on the subject matter, and its also compatible with many eminent browsers. In many web layouts gradient is playing most important role to make your design attractive and eye-catching, now you can also do this through CSS. You just need to select the format you would like your colors generated in and its available options are HEX and RGB and get CSS. Your option will be memorized for the next time you visit. The professionals who are working on CSS especially on CSS they have to create CSS through their own hands but now you should not do this longer because you have the facility of CSS3 Generator. 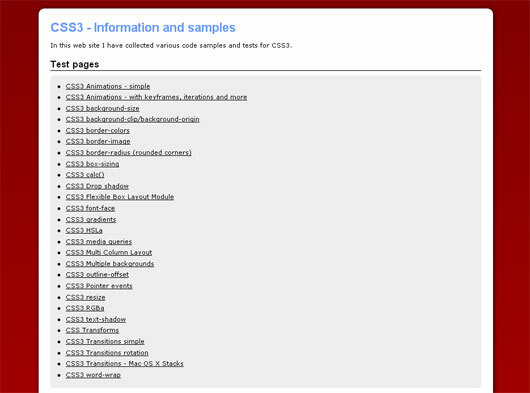 That can also prove pretty useful in your professional career, you just need to add your desired object and get CSS. Now you have a very comprehensive solution about the CSS3 because you have a great tool regarding this because it’s the cross browser css3 rule generator. Using this valuable tool you can easily edit the underlined values in this CSS file, and not about to worry about making certain the corresponding values match, that’s all done automatically for you. In the designing field a designer has to focus on many things because it’s a field of creativity, there are many techniques that a designer can use like making a shadow. Now using CSS techniques you can easily make shadow of text. Because the CSS3 text shadow property is one of the most well-liked techniques of progressively enhancing the look of a website. 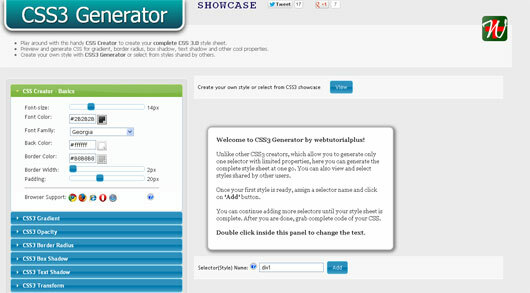 For all the professionals CSS3 Generator is a very useful because in this way you can play around with this handy CSS Creator to create your desired CSS. I’d like to say that it’s a handy tool for all and sundry and you can also preview and generate CSS for gradient, border radius, box shadow, text shadow and make your own style or select from styles. On any website buttons are very essential things to make creativeness, now you can do this easily using CSS3 codes, for this purpose just drag things, pick colors, and make a nice class for your buttons. It’s a very nice way to explore the new ways of creativity just use the super awesome empowering concept to make a button. It’s a better way that we should get better information about some essential things before start anything, CSS is a complicated work and CSS is more complicated. 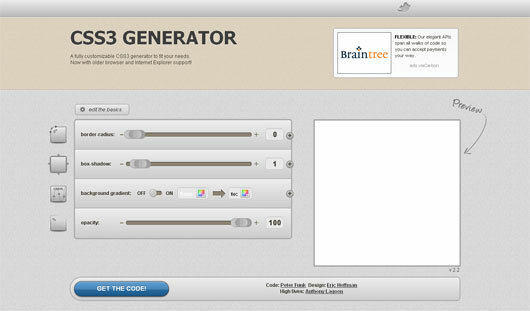 To learn this you can use CSS3 Generator a fully customizable platform to generate CSS3 to fit your needs. You’ll get information here about border, shadow, background gradient and about opacity. And now with older browser and Internet Explorer support. It’s a most important step to have sufficient information before to start any project, similarly in CSS 3 you also need to get some information. At this platform you can easily get information about this topic because here are various code samples and tests for CSS3.